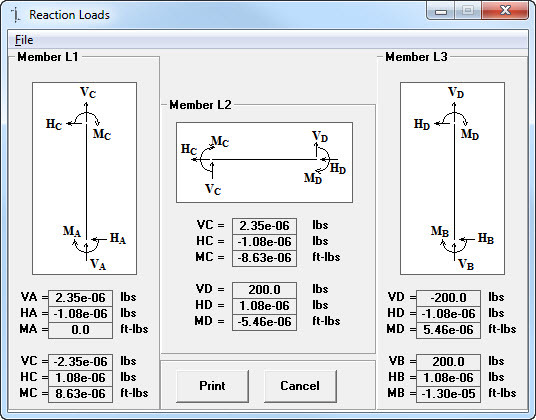 (Metric and US units) Need joint reactions on a three member rigid frame? This program will give them to you. 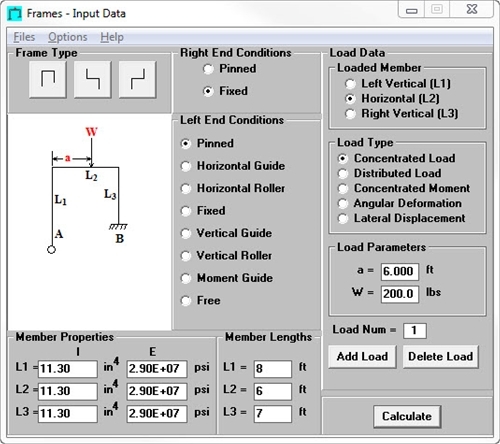 The latest version allows multiple load input.